Flipped Classroom (FC) is a blended learning approach being promoted in higher education in recent years. It flips the conventional pedagogic arrangement so that students use the out-of-class time to conduct lower-order learning and the in-class time to conduct higher-order learning. Nevertheless, unlike the adoption phenomena in other academic disciplines such as Science, Engineering, Medicine and Education in university teaching, the adoption of FC in Social Science has been rare. This paper reports on a quantitative study (n = 152) in which the Stages of Concern model was employed to probe into the concerns of Social Science faculty members (SSFMs) about introducing FC into their teaching practice. 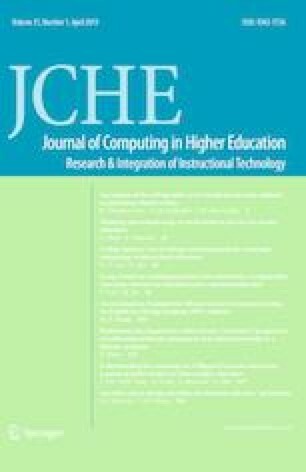 The study reveals that the participants were having strong categorical concerns of “Information” and “Management.” The findings shed light on designing more precise interventions for addressing SSFMs’ actual needs when flipping their classrooms, providing a useful reference for researchers and practitioners who are pursuing work on promoting FC in higher education. Thank you very much to all SSFMs who participated in the present study, especially the five SSFMs who participated in the focus group interview. When I think about the adoption of FC in my teaching practice, how much am I concerned about the followings? When and where did you first learn FC? To what extent are you familiar with the pedagogic idea of FC? Do you think you are technically ready to flip your classroom? What kinds of support should your university provide you with in order to facilitate you to try FC in your teaching? Can you picture how your students will perform in a FC setting? Flipped Learning Network. (2013). What is flipped learning? Retrieved September 1, 2018, from http://flippedlearning.org/cms/lib07/VA01923112/Centricity/Domain/46/FLIP_handout_FNL_Web.pdf.